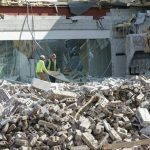 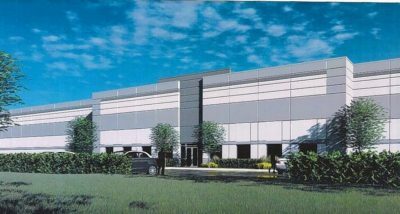 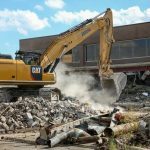 The demolition begins at Motorola campus in Schaumburg, and Topgolf is coming – Johler Demolition, Inc. 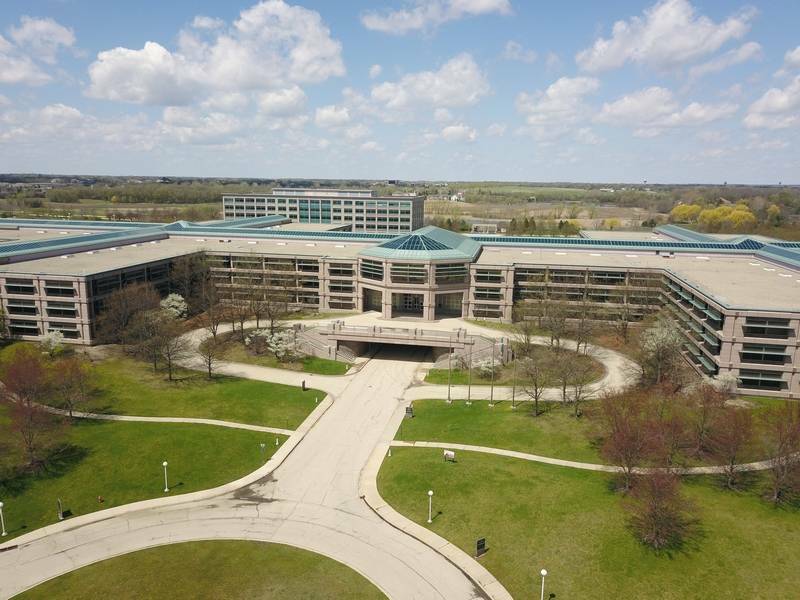 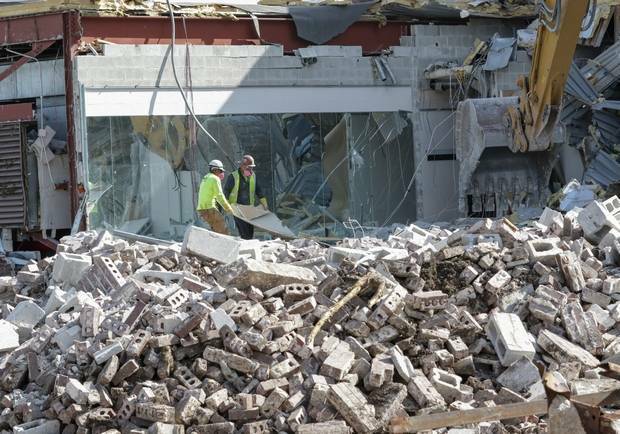 The Galvin Center at Motorola Solutions’ former headquarters in Schaumburg, home to a museum of the telecommunications giant’s history and a place where many of the company’s groundbreaking engineers perfected their trade, is meeting the wrecking ball. 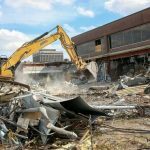 The two-story building’s demolition is a significant step in Chicago-based UrbanStreet Group’s plans to redevelop the 225-acre campus into a mix of stores, multifamily residences, restaurants and more. 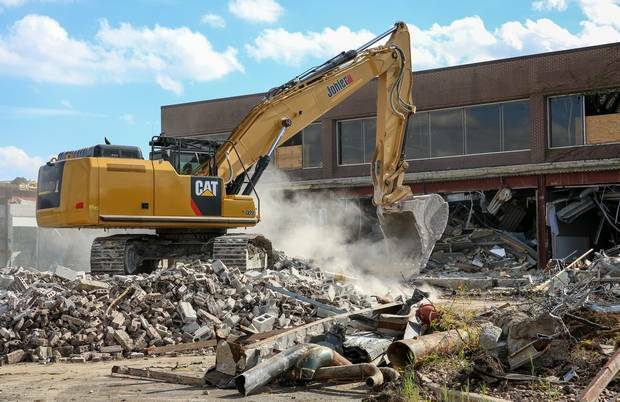 Construction of a new central road through the campus also is underway, and by next summer about 1.8 million square feet of buildings will have been razed. 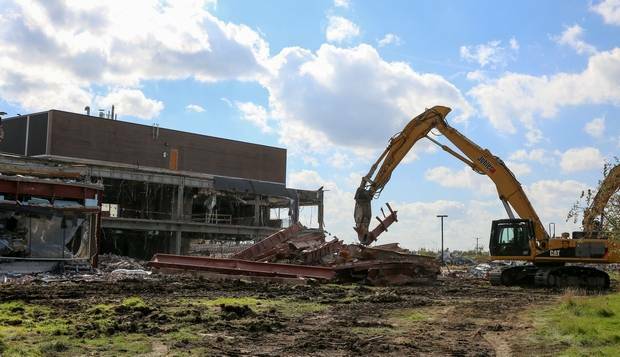 The building’s removal makes way for a planned Topgolf entertainment venue immediately to the north, Burk said. 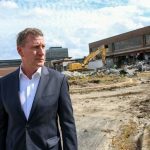 “Where we’re standing, literally, is going to be the Topgolf site,” he said while watching the demolition from a safe distance Tuesday. 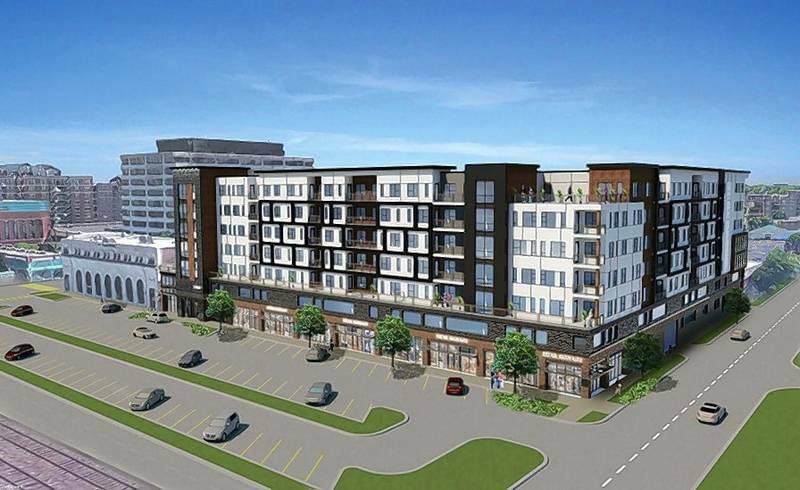 The only other approved project on the site so far is a 260-unit apartment building farther north, along Algonquin Road. 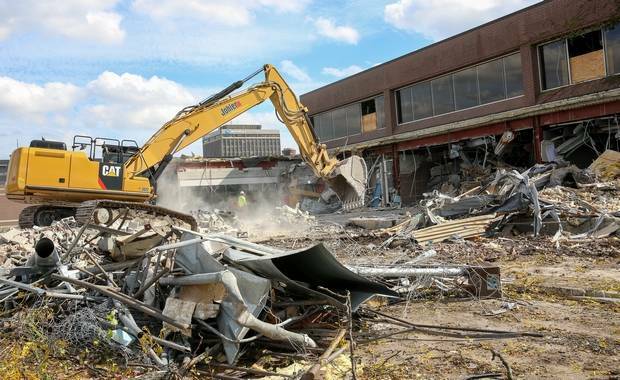 But in years to come, UrbanStreet Group’s plan is to turn the campus into what it calls the Veridian community of stores, restaurants, offices, multifamily residences, entertainment venues and park space. 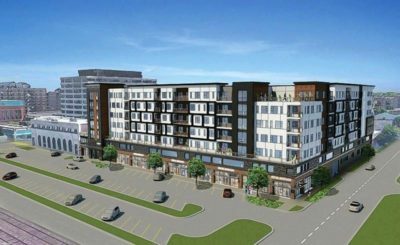 Though unlikely to become formal proposals to the village until next year, some of the developer’s plans include a senior living facility, row houses and potential corporate and health care buildings. On the other hand, Motorola demonstrated the land’s prime location and potential, he said. 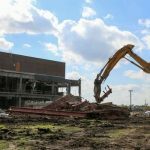 “If this was just a field, no one would have a perspective on what this is and what it can be,” Burk said. 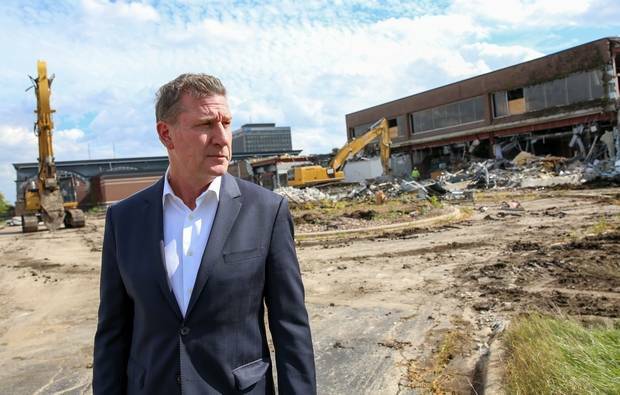 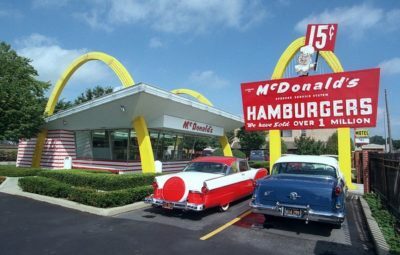 Though the ambitious redevelopment wouldn’t work for every former corporate campus, the size and location of the site at the southwest corner of Meacham and Algonquin roads is ideal, Burk said. Motorola first acquired the land in 1964 and made its headquarters there a decade later.